Many around the world are watching and celebrating medals from the 2018 winter Olympics, but in the United States, we’ve been dealing with some very difficult circumstances. Even in our own family—our niece is a student at Marjory Stoneman Douglas High School in Parkland, Florida where the shooting took place, and so many lives were lost in that tragedy. And several other schools saw similar threats in the days immediately following that massacre. My heart grieves for the families who lost loved ones in the past week. I know it will take that community quite some time for healing to take place. As a country, we’ve been grappling with what does all of this mean, and how do we cope? I’ve had many ask me questions about why such events occur, and what would make someone do such a hateful act, and how can people ever recover? I have many friends, family, and patients who are going through very difficult, painful circumstances, even before this recent tragedy happened in south Florida. 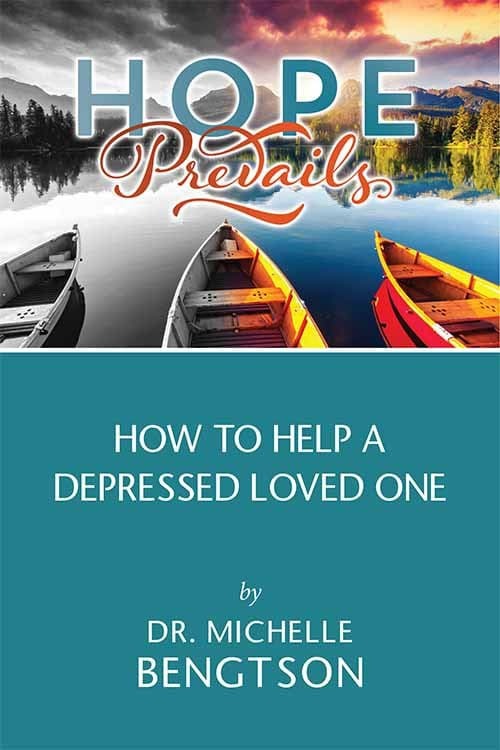 People are dealing with health crises, and financial stresses, and relationship issues, and so much more. But I want to encourage you that our pain is never wasted. You might be wondering how that can be? You might be questioning, how can you say that? How can you say that when there are families who are grieving the death of their children, or the death of their spouses? I promise you, our pain is never wasted. God will use our pain for good, somehow. I look back over my own life, having gone through some very painful circumstances, and I can now see how God used my pain for good. 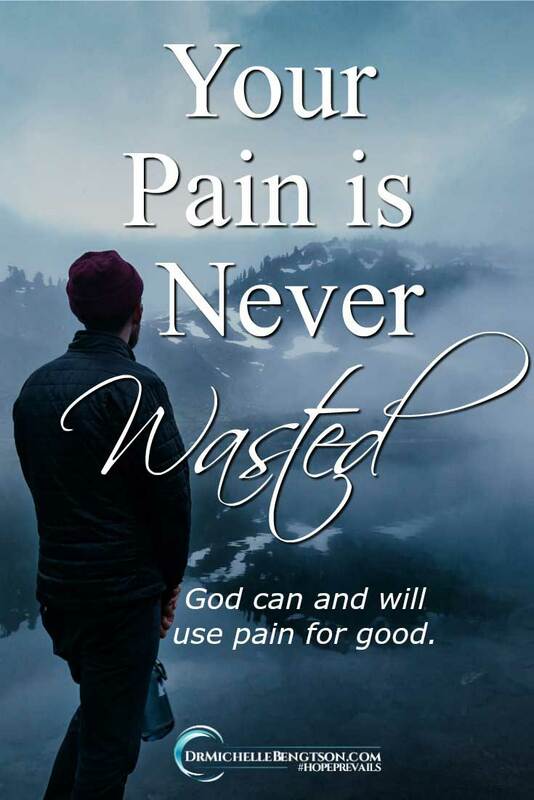 When I look back over my life with painful circumstances, I see #God used pain for good. I went through a prolonged period of a devastating health crisis, where I wasn’t sure I was going to survive it. My husband has gone through a couple of bouts of cancer. 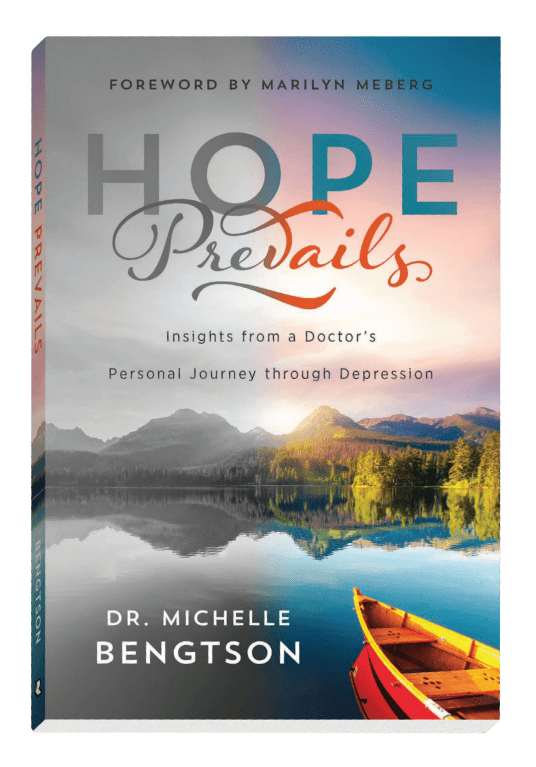 If you’ve read my book, “Hope Prevails: Insights from a Doctor’s Personal Journey Through Depression,” you know I have gone through a very severe bout of depression. I have gone through some things that I wouldn’t wish on anybody. There were times that quite honestly I prayed, “God, if you aren’t going to take these circumstances away, take me home!” And when it was clear He wasn’t going to take me home to Heaven, I prayed, “Don’t let me come through this unchanged. Let this serve a greater purpose. Bring good out of this situation—please don’t let this pain be for nothing; don’t let this pain be wasted.” And I look back now and I can see how he used those painful circumstances for good. “But God promises to work all things together for good for those who love God and are called according to His purposes!” (Romans 8:28). That’s the verse that we like to quote and throw at situations like this when we don’t know what else to say! If you had said that to me when I was in the midst of my painful trials (and many did! ), that would have shown a lack of sensitivity, and would probably have irritated me. In trials and suffering, we read Romans 8:28 and wonder how #God will use THIS for good. So I’m not offering that verse as a magical panacea to anyone right now, even though I know it to be true. In the moment, in the midst of the trial, in the middle of our pain, even after something as horrendous as a school shooting, we think “How is God going to work this for good?” I don’t know. I’m not God. I simply don’t know. But what I do know is that God is faithful. I know that He is true. I know that He loves you. And I know that He can be trusted. What I know about #God: He’s faithful, true, good, loves you and can be trusted. God promises to restore what the locusts have eaten. 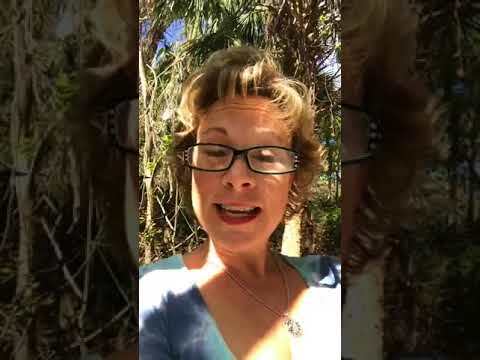 I’m counting on God to do that in some situations in my life, and I know God will do that in the community in south Florida, as well as for you. When I look back on those painful circumstances in my life, hindsight is 20/20 and I’m able to see how He used my pain for good. The painful situations tested my faith and made me seek after truth. The painful trials made me confront God on issues I had been avoiding for years. 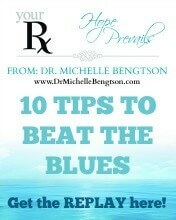 The pain made me cry out to God on issues that I had been ignoring and sweeping under the carpet for far too long. They were issues I needed to wrestle with and settle once and for all. My most difficult life circumstances and painful trials made me put my trust in God instead of in people. It’s where I needed to put my trust. If given enough time, people will let us down every time—they are just human, but God is perfectly dependable and trustworthy. The difficult situations and painful trials strengthened my compassion like nothing else could have. The most painful times made me so much more sensitive to the brokenness in other people. I thought I was sensitive before, but now am on a much deeper level. Now I can look in people’s eyes, see their pain, and have so much empathy for their suffering. The trying times that brought so much pain allowed me the opportunity to need and then receive God’s comfort so that I could then comfort others with the comfort He had given me. We cannot give what we don’t have. But because of the painful, difficult circumstances I endured, I received comfort from God so that now I can offer it to other people in their time of need. The painful situations I endured reinforced for me just how desperately I need God. 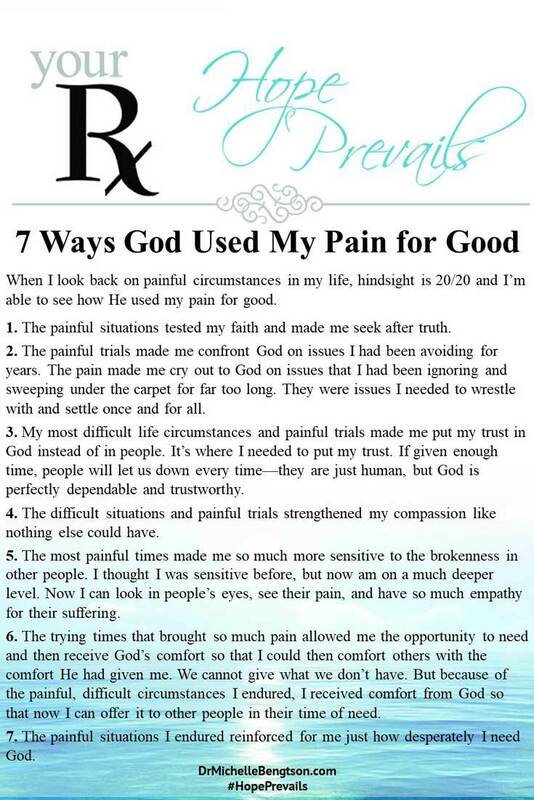 Those are just some of the ways God used my pain for good. 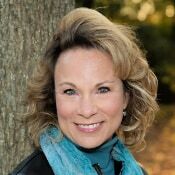 If we could sit down together over a cup of coffee, it would extend to lunch, and then perhaps afternoon tea and even dinner because there are so many painful things I have gone through, but there are also countless ways that we could talk about that I have seen God use my pain for good over the years. You would see, our pain is not for nothing. God is true to His word, and really will use our pain for good and for His glory. Our pain is not wasted. In Isaiah 61:3, God promises to give beauty for ashes, the oil of gladness for mourning, and festive praise for despair. I don’t know what you are going through today. I don’t know what painful trial you or your family are suffering. But I know God can and will use it for good. 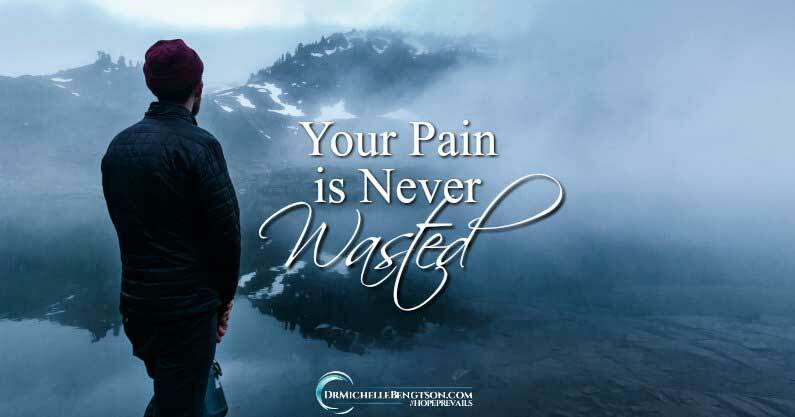 Your pain is not wasted. Will you give it to Him? What do you need to give Him today? In what ways have you seen God use your pain? I’d love to hear in the comments below—it just might encourage someone else who needs to hear it today. The world is filled with so much pain and suffering today. I know that you hurt over the things that hurt us, because we are your children. Father, your word even says that you catch all of our tears in a bottle and you record them in a book. Your word also says that although weeping lasts for a night, joy comes in the morning. 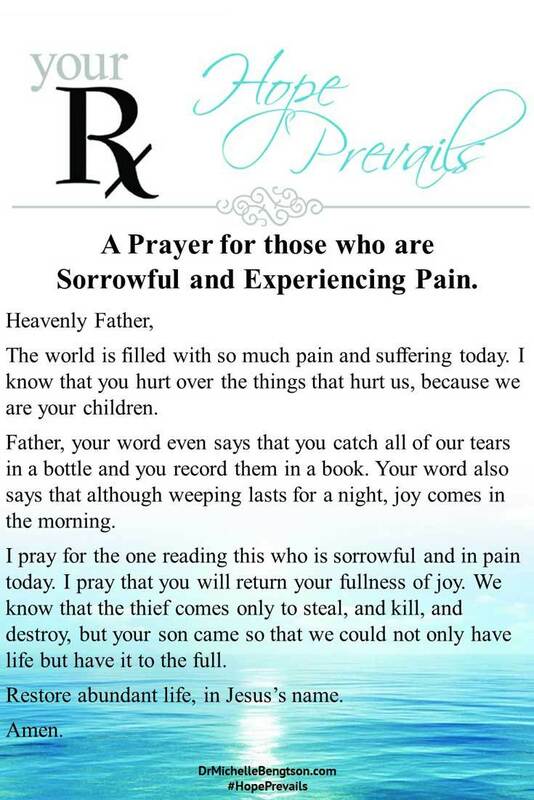 I pray for the one reading this who is sorrowful and in pain today. I pray that you will return your fullness of joy. We know that the thief comes only to steal, and kill, and destroy, but your son came so that we could not only have life but have it to the full. Restore abundant life, in Jesus’s name. Amen. Michelle, your prayer to not go through it all unchanged reminded of the song “Different” by Micah Tyler. 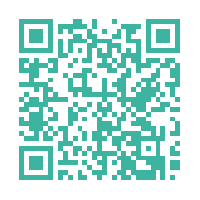 You might appreciate it! Thank you for this wisdom. So much encouragement here that is so badly needed. Definitely sharing. Thank you! Thank you for sharing this, Michelle. Beautiful reminders, Michelle! When we’re in the midst of a dark journey full of pain, it’s hard to remember that God can use our every experience–if we just let him! I also can attest to this message Michelle, through all the painful circumstances & there have been many…God has bought such goodness out of those! Even with Chronic physical pain everyday for the past 13 years, I can see such amazing blessings. Such good reminders. It’s amazing in times of doubt how we can look back and see how God made beauty even out of ugly things. I’ve found the same to be true in my own life and the lives of others I know. While the challenges we face may be painful, God uses them for good in ways we could never imagine! I agree our pain is never wasted. Sometimes we can’t see but we can always trust God he will use it for good. I enjoyed hearing you talk over on compel last week. I have got to order your book. 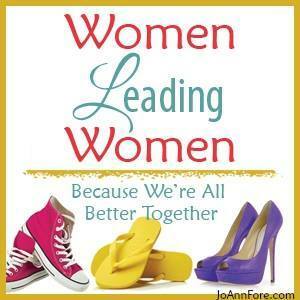 Thank you for sharing on Grace & Truth Link-Up. I loved your post! It is a beautiful reminder of how the Lord can make beauty from ashes. I have seen His faithfulness even with going through something I never thought I would ever be able to survive, the loss of my oldest child when he was only 19 years old. My heart hurts for those struggling to hold onto hope. 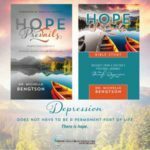 While you are going through hard times and experiencing such pain in your life it is hard to find hope and encouragement and it is hard to pray. I just put together this post with some things that has helped me get through hard times. 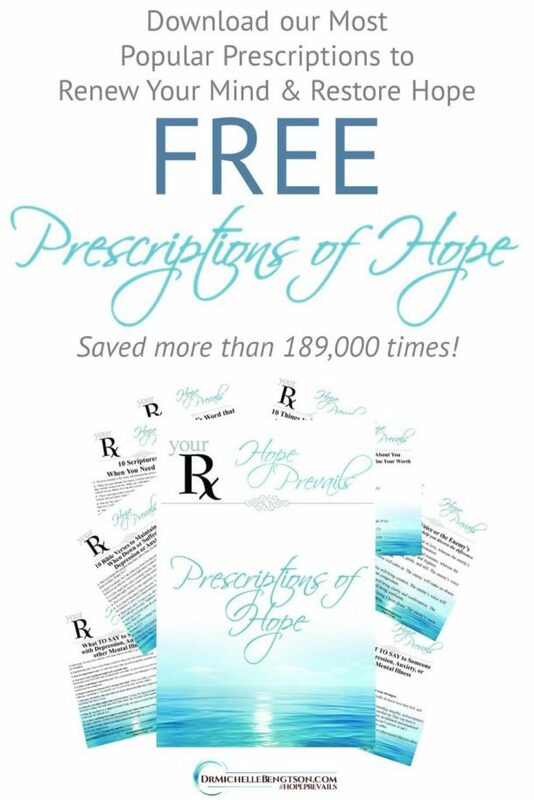 https://naturalhealinghope.com/how-to-hold-onto-hope/ Maybe it will help some of your readers. Thanks so much for your wise words. I will share your post with my readers as well. Amen to this! I love the way you avoid platitudes here and get to the meat. My friend Dallas Willard used to say that God’s hand is best seen in the rear-view mirror.